Good sound deserves good looks. Feel, touch and listen. Some headphones sound good but look clumsy and technical. Some headphones look good but sound poor and break easily. And then there are VAIN STHLM headphones, great sound combined with beautiful design. Our challenge was easy – create a brand to match. On our to-do-list: pretty much everything. Like brand platform, visual identity, product design, structural/packaging design, website and b2b communication. How can one work with headphones and not press play? 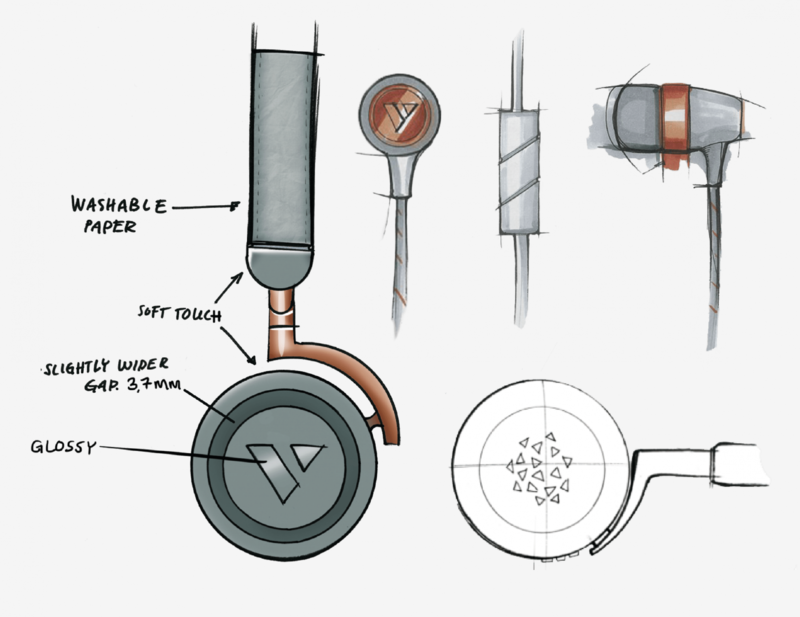 A lot of sketching is the start of our design phase and leads to prototyping and trying them out. Then it's back to the drawing table. If you're truly vain you care about details. We had to make sure material properties, the touch and feel of the product stood up to the sound qualities tuned by Mathias and Mikael at VAIN. That’s our inspiration for this super convenient, perfectly shaped little tin for your headphones. No more tangled headphones in your bag. 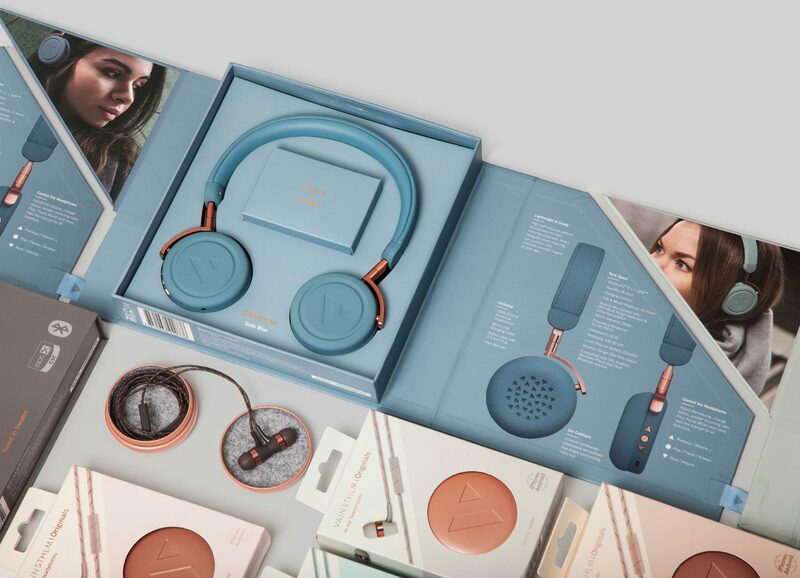 The packaging needs to match it's contents and that's why we designed theese awardwinning packagings for VAIN headphones. It opens up to reveal it's contents without breaking a seal, making it easy for costumers to see what they get and personal to display the products inside. The packaging for VAIN Originals was awarded silver prize in the 2016 Pentawards world wide packaging and design competition. We are of course very proud.